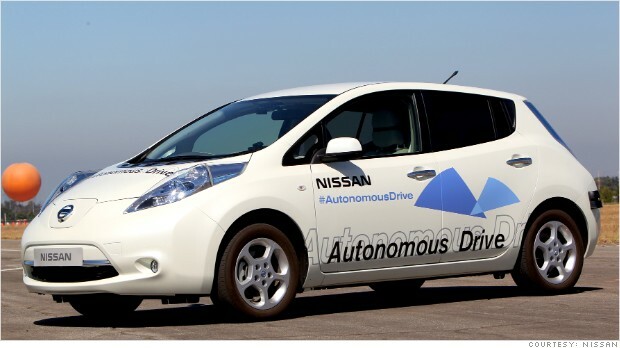 "In 2007 I pledged that -- by 2010 -- Nissan(NSANF) would mass market a zero-emission vehicle. Today, the Nissan LEAF is the best-selling electric vehicle in history," Nissan chief executive Carlos Ghosn said in a statement. "Now I am committing to be ready to introduce a new ground-breaking technology, Autonomous Drive, by 2020, and we are on track to realize it."